When he became a free agent two years ago, Peyton Manning quickly narrowed his list to the Broncos, Tennessee Titans, San Francisco 49ers, Miami Dolphins, Arizona Cardinals and Seattle Seahawks. 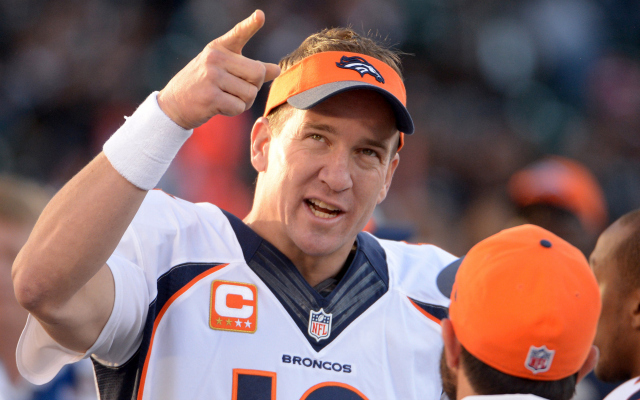 The Seahawks also wanted an opportunity to sign Manning. So they parked a jet at a Denver-area airport, hoping to get an audience with Manning, Troy Renck of the Denver Post reports. Wilson was drafted in the third round.